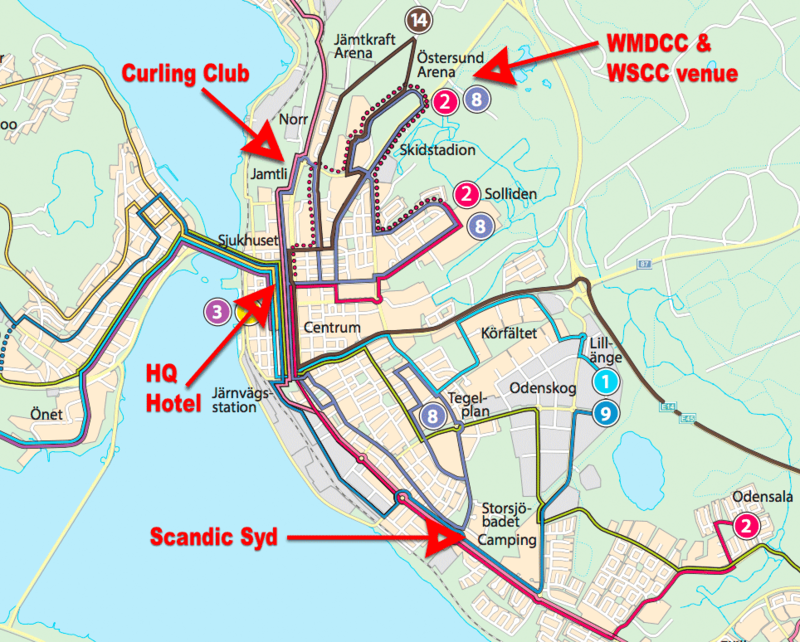 Only athletes staying at our official hotels Scandic Syd and Clarion Hotel Grand, can use the free shuttlebus to Östersund Arena. If You are going to Your scheduled draw You have priority over athletes going to the arena as spectators. It is a convenient and inexpensive way to get around Östersund. An adult single ride is SEK30 (SEK 15 for youth under 19 years) You can NOT use cash on the local buses, but You can pay with Your VISA or MasterCard. Bus stop @ Scandic Syd is named “Östersunds Camping” in the timetables. Bus stop close to Curling Club is named “Jamtli” in the timetables. Don’t hesitate to ask at the front desk of Your hotel.